This wonderful Waterman Expert pen is beautifully shaped like a cigar. This pen features Parisian styling combining retro and modern look. This one is sturdy and perfect for someone on the go. Waterman describes this pen as ‘Business Chic’. Waterman Expert is a great addition to the professional life and adds a personal flair to all things classy, we have a full review here for you on the site. The cap of this pen is chrome made and is available either in silver trim or gold trim. On the cap, there are rings engraved which lends a very classy look to the pen. The clip of the pen is shaped like a neck tie and has a perforation that runs along its length. The clip also has a ‘W’ on top of it which makes a statement. The top of the cap doesn’t have any designs or engravings. The cap band contains the words ‘Waterman’ on one side and ‘France’ on the other. The cap is a little heavy though with all the designs. The body of the pen is round and about average size, i.e. not too thick and not too slim. It has a black shiny lacquer finish. There is a ring that separates the bottom cap with the rest of the body. It’s really great to hold and doesn’t slip. This pen employs a standard steel nib which has engravings on it, like most of the Waterman Fountain Pens do. The nib is available only in two sizes that are fine and medium. The fine nib is the one that is used more commonly and many people prefer it for the ease of writing. This pen is best used with a giant ink cartridge. But a convertor works great as well to use a different cartridge. Bear in mind that the cartridges or the convertors should also be from Waterman. This ensures the absolute best in compatibility as well as quality. This pen needs to be held at the correct angle for the ink to flow smoothly. And once the writing is started, the ink doesn’t skip no matter how hard one writes or how fast. It’s very smooth and feels great in writing and doesn’t have any ink leakage. The ink flow is consistent and reliable. The fine nib doesn’t starve or skip or choke while writing. The only drawback of this pen would be the pull-off cap. The cap is heavy and over a long period of time the cap has been known to become a little loose and slip off. Also, when you post the cap on the back of the pen, due to its weight, it throws off the writing balance. It can be jarring for some. For some fountain pen users, the steel nib will also be a drawback, because a gold nib is much smoother than a steel nib. Most of the pen’s design is concentrated on the cap. The Waterman fountain pens are a bit pricey but they are a long term investment and will last indefinitely if used properly. The Expert pen costs anywhere between $120 and $150 (the prices may not be same depending on the region). The Parker fountain pen is perhaps the most commonly used fountain pens from one of the biggest brands out there. Aesthetically it is very pleasing and easy on the eye, and it is easy to use and elegantly produced. This pen is hard to critique because it is one of the finest and the most practical fountain pens ever made. We have a full parker sonnet review for you here. First let’s discuss the design, Parker’s website describes Sonnet as ‘timeless and elegant’ and it couldn’t be more right. The pen cap and the body features geometrical designs and is available in many types. There are different shades of colour and metal types available for this beautiful fountain pen. And of course the pricing varies depending on the metal type. Parker Sonnet Fountain Pen has the classic pull-off cap with the clip as the trademark of Parker—the iconic and dynamic arrow. It is hard to miss the arrow shaped clip. On the cap band, you’ll find the arrow and the ‘Parker’ name along with ‘France’ where it was manufactured. The cap fits perfectly when you post in on the back and doesn’t add any extra weight while writing. It also doesn’t get loose or slip. The nib of this fountain pen also flashes the name ‘Parker’ along with engravings. The nib comes in an 18 carat gold plate and offers impressive rhodium highlights. Available, as you might expect, in medium or fine nib, so there is a choice of size based on what you prefer. You also have the option to choose either gold-plating or nickel plating for a different looking finish, either a gold or silver sort of look. The price will slightly vary according to the choice. The best part about the nib width is that it is exactly what it says it would be. Fine gives the line-width of fine and medium of medium. While using the gold-plated fine or medium nib, there is no ink bleed, no scratchiness and no skipping, it writes as perfectly as it claimed it would. The nibs are also available in stainless steel that gives almost the same quality writing as the gold nib. The ink is very easy to load into the convertor and there is no mess. The cleaning and disassembly of this pen is fairly easy. It comes apart easily and any novice can put it back together. Coming to the writing part, like I said earlier that the ink doesn’t bleed and there is absolutely no scratchiness. The ink flows smoothly onto the paper and doesn’t change if writing fast or hard. This Sonnet Fountain pen is perfect for everyday writing. The pen is rugged and will withstand the test of time. It writes just as well on ultra-thin paper as it does on thick paper. For these reasons, Sonnet is one of the most practical fountain pens ever made. It’s ideal for someone who uses fountain pens for everyday writing. Since the style is not the prime focus of this pen, it’s not ideal for someone looking to make a statement and use it only once or twice. This Sonnet pen is truly the best to have for Fountain pen writing fanatics. It delivers on its promise and holds the Parker name up high. It’s not pricey and is for everyone to use. With its sleek and funky design, Lamy Safari Fountain Pen comes in many shades of colour. Be it black, glossy black, blue, white, you name it. Even though Lamy Safari has a modern look, it doesn’t compromise on its quality. It’s made of a polymer, which means that it’s sturdy and will last a good amount of time. It is not fragile like many fountain pens are. The name ‘Lamy’ is engraved on one side of the pen. Since it’s a Safari edition, the pen cap is big and some people might not like it. The clip of this pen is shaped in a groovy fashion and is made of shiny chrome – also huge, but it’s part of its Safari look. There is a small plus sign on the top of the cap that doesn’t really serve any purpose. There is a see-through section present on both sides of the pen which makes it easier to judge the level of ink remaining in the pen. The pen has a steel nib, with a polished appearance. Talking about nibs, it’s available in many sizes – Extra fine, Fine, Medium, Broad, and Left-Handed. The one aspect of nib sizes to keep in mind is that it’s not exactly what the size is. For example, a Fine sized nib will be Medium sized in actuality. Extra Fine will be Fine; Medium will be Broad and Broad will be huge. This is something the manufacturers should’ve paid attention to because nib sizes are crucial when selecting a fountain pen. If the nib is bent or not working properly for whatever the reason, you can easily replace the nib yourself. Just place the metal cap on the nib and gently pull the pen’s body away from the nib. Next we come to the ink. Lamy Safari has an option to use either a giant cartridge, or a piston operated convertor. You can unscrew the bottom of the pen and either have a convertor or use a cartridge. Refilling the ink is easy whichever option you use. Now we come to writing bit. The grip on the pen is good – it doesn’t slip. The writing part is largely dependent on the nib size. The Extra Fine nib scratches on the paper a little and works slower than the Fine nib. The Fine nib is smooth and writes better, but it’s the thickness of the letters is something that you’d get out of a Medium pen. So if you use a Medium nib, you’ll get really thick letters akin to writing with a marker. And Broad will give you even thicker. One very important pointer when it comes to writing after you’ve just got a refill is to run Lamy Safari pen a little. Doodle on a rough page on the side and you’ll see that the doodles are thick. Basically, the ink runs on the page when you have got a refill. Once you’ve worked out all the kinks, this pen is a damn good writing tool. Japanese luxury pen producers Pilot Namiki have been creating high quality stationary products since 1918. Over this time they have built a reputation for finely engineered and elegant fountain pens. The Falcon Collection is one of their most recent ranges and is no exception to this tradition. The range retails on Amazon for between £120 and £260, the differences in price are largely down to the materials of the nib. The cheapest ones are finished with full gold plating. Obviously this is very pleasing aesthetically but unfortunately ink sticks to gold very easily, meaning you will have to frequently clean the pen. The more expensive models have rhodium plating on the nib, which ink doesn’t stick to so readily. The other differences are in the pen’s ink capacity. The pricier models have larger ink barrels meaning you will have to refill them less often. The pen can be purchased in either a soft fine, medium or broad design. The Falcon Collection is not targeted to one particular use. A quick read through of customer reviews will show this pen is incredibly versatile. It can be used for fine calligraphy, as a durable ‘everyday’ pen or for delicate sketching and drawing. The key feature of the Falcon is its flexible ‘hooded’ nib. Although far from being ‘soft’, the aim is to provide a compromise between balance and rigidity. Applying different levels of pressure alters the thickness of the line produced to the extent you can stop the release of ink whilst still guiding the pen over the page. This might take a bit of getting used to for some users and the diversity of applications might be irrelevant to those looking for a specific function, but it is a key contributor to the pens diversity of uses. The pen is finished in single colour black resin with gold trimming. The gold components (nib and trimming) are 14 carat giving a truly wonderful sense of quality. The pen weighs a reasonably light 454g. As with the flexible nib, this lightweight is something that some users might need to adjust to. Ultimately desired weightings of a pen are completely subjective, dependent on the preferences of each user. Obviously it is possible to adjust to the idiosyncrasies of most pens, but it is worth considering some of the more specific features of the Falcon Collection before investing. The Collection is compatible with either a piston based refill system or cartridges. The pens can be completely deconstructed for cleaning and maintenance meaning the careful owner can get years of use out of it. The range comes delivered in a customised black gift box and includes a warranty from the manufacturer, although the length of this warranty depends on the model. Ultimately, the Falcon Collection is aimed at versatility, a pen that can be used for fine writing or sketching. It is worthwhile for those looking to invest in a long term piece of luxury stationary although some may choose to look for something tailored for more specific needs. In this period of time that could be termed “the Age of the Ballpoint” or even “the Age of the Tablet with Stylus” – fountain pens are becoming more and more archaic. Although you can still find enthusiasts who use fountain pens for personal communications, such as letters and invitations, the everyday fountain pen user is seriously difficult to find. Yet there continue to be people who prefer to use an ink contraption for their memos and messages, cheques and other areas of life where written communication is required. For them, the following collection of hardy, everyday pens are a great idea, combining both quality and longevity. A Parker pen of any variety is bound to add class to your prosaic memos. But the Vector series are ideal examples of everday use pens, which are not only sturdy but also long-lasting. They can take a beating and a lot of overuse but they will not give up on you. This particular pen has a stylish steel look with chiseled pen top, making it look elegant in addition to classy. Lamy pens are known for their durability as well as their excellent quality. Not only is this pen worth every dollar being put into it, but the characteristic modern style makes it recognizable as a quality pen. This Pelikan pen is perfect for young ones starting out with fountain pen writing. It is good enough to use every day and neither the nib nor the body spoils easily. Can be a little scratchy when used on low quality paper, but otherwise perfect. The chunky feel and the rubber grip mean that it is easily held by smaller hands, and the bright colors in which this series is available make it appealing to children. Pilot pens are usually both cheap and reliable. While most pilot pens are of the disposable variety, these are quite the reusable pens. Not only do they provide smooth writing, but this series of animal collection pens are stylishly made, with ‘accents’ inspired by different animals. It is a useful and good-looking pen for the price. Sheaffer makes high quality pens that are usually very expensive, but this pen is one of the more affordable varieties. While it doesn’t have the classy Sheaffer build, it is nonetheless a very usable, everyday pen. You could lose it and buy another without much heartbreak or hurting your budget. This ‘space pen’ is purported to work in the most extreme of conditions, including outer space, freezing cold or burning heat. Although it is unlikely that most of its users will be in a position to test its usefulness in such scenarios, the pen provides sufficient workability in everyday use. A favorite for the simple person who wants to add a bit of elegance to life. In recent years, new models and types of fountain pens and nibs have been released. Over time, many brands and models of fountain pens have been seen as luxuries, status symbols enshrined in cases and very rarely used; many other pens are used everyday. In recent years, the availability of good gold and steel pens of high quality for a reasonable price have become available, such as the Parker IM Fountain Pen. Available for around 20$, the Parker IM gold pen has a stainless steel nib and is noted by users as having the same quality when it comes to writing as more expensive fountain pens by Parker and other companies. Recent improvements to pens have also brought a new gamme of lower cost, higher quality pens to the European market, long a market of high cost pens. Another recent improvement when it comes to fountain pens is the invention of disposable fountain pens, and their increased presence on the market. Pilot has an example of a good disposable fountain pen, the Pilot Varsity. Retailing for around 5$, the Pilot Varsity is available in traditional black and blue coloured ink, in addition to an array of newer, brighter, more fun colours, such as green, purple, and pink. The Pilot Varsity delivers the style of writing that a fountain pen does, with a similar look, without the cost. While the outside of these disposable fountain pens doesn’t closely mimic the traditional, more expensive pens, the final product of the writing is fairly similar. One advantage to pens like the Varsity is that you don’t have to carry around a heavy fountain pen, or worry about losing an expensive fountain pen while on the go. Users enjoy the price to quality that this pen delivers, and the colours it is available in. Another new product that comes as an improvement to the world of fountain pens is the invention of the Pilot Petit Mini Pens. These pint-sized fountain pens are easy to use and even easier to transport, and come in several different colours of ink. This product line includes not just pilot pens, but also felt tip pens and brush pens. They are an excellent way to have several different colours of ink on the go at once, and are a great introduction to writing with pilot pens for beginners. They allow you to writing some some style and panache, without the risk of making mistakes or making a large investment. A new type of nib has found its way to the market in recent years, made of titanium. These nibs have a good, spring feel when writing with them, and are very durable, titanium being a strong yet flexible material. One example of a titanium fountain pen is the Monteverde Invincia Titanium Fountain Pen, which retails for around 75$. It writes very smoothly, provides ink smoothly with no splots or jams, and is designed in such a way that it has a nice, solid, heavy feel but at the same time is light and flexible enough to write beautifully with. These are just some examples of new materials, technology and styles that have brought new types of fountain pens to the market, and improved upon existing ones. Waterman Hemisphere Review – Fountain Pen for the Masses? The Waterman Hemisphere is an affordable and durable fountain pen perfect for professional writers. It has a slim and stylish body and the metallic color of the pen gives it a nice shiny finish. The nib has a medium sized width that tapers to the end and allows a good flow of ink during writing. The pen has a slightly bulky body that makes it difficult to hold during fast writing; however the overall weight of the pen is acceptable. The Waterman Hemisphere Fountain Pen comes in a variety of colors, but personally the one I think of as the most classy is the gray metallic. It has a body made up of stainless steel that is metallic in color and makes it easy to stand out among other pens. The nib is firm and strong but is slightly longer than the other traditional fountain pens, so it may break during fast writing. The overall length of the body is 6.9 inches and the width is 2.7 inches. It has a steel rim around the cap and the body. The Pen is thick in the middle, which makes the grip on the pen difficult to bear for longer periods. The body of the pen tapers at the end. The other editions of the pen are available with a cap that has straight lines embossed throughout its circumference. I personally did not like this pattern, but it depends on every one’s taste. Overall, the Waterman Hemisphere Fountain Pen worked excellently. The pen works great for italic writings and as compared to other bulkier pens, in fact, it’s quite easy to write in slant curved italics. The body is made up of metal which is not a problem even for sweaty hands. The smooth body of the pen allows a good control over the pen. The pen is flexible and works fine with medium rate writers. There is less friction between the pen and the paper; however, I recommend you use it on a good quality paper to increase the life of the nib. Even when your pen has malfunctioned or has broken due to natural causes, there is nothing to worry about, because the pen comes with a Waterman Life-time Warranty. The Waterman service is satisfying and they answer almost all your queries to the use of the pen. Maintaining the pen is very important for its longevity. Always get the pen refilled with the recommended ink company and clean your pen’s cartridge every week. When holding the pen, apply less weight on the nib which helps the ink to flow while writing. Varies across sellers, but can be available for as low as $54.99. The pen comes in a beautiful gift box with a cap, a body, and an ink cartridge. Make sure you have received your copy of the receipt and warranty card when receiving the package. A pen has always been a symbol of strength and civilization among the human race. With the help of this miraculous weapon called “pen” human beings have conquered. One of the greatest tools known to mankind is the pen, and this is up there with the best of them. There are many companies and brands around the world that are famous for producing top quality pens. But “The Parker Pen Company” has always been considered different from all of them. Producing top quality Parker vector fountain pen, The Parker Pen Company has always satisfied millions of people around the world with its high quality work. What is a parker vector fountain pen? 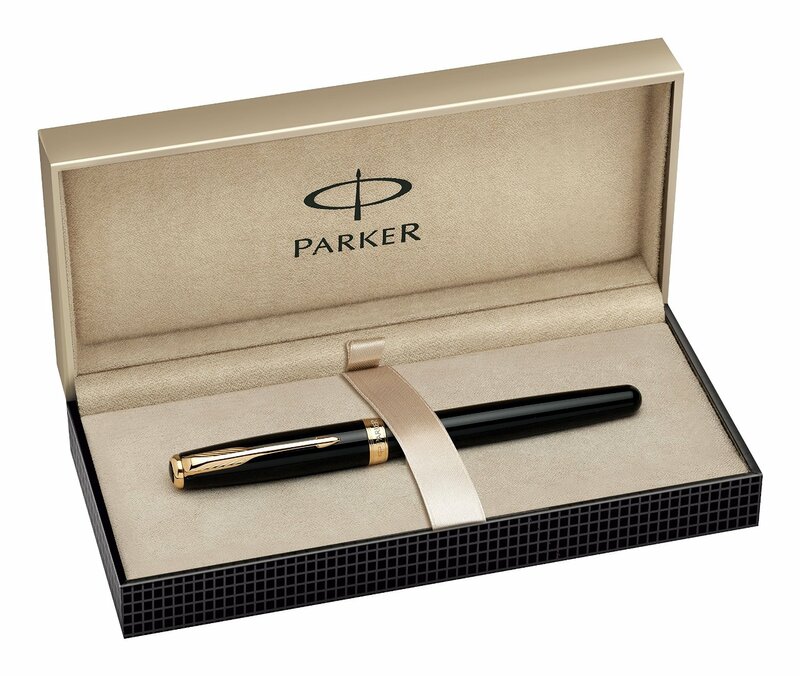 The Parker vector fountain pen is a top quality pen produced by The Parker Pen Company. First introduced in 1981, the simple and soft design of first ever Parker vector fountain pen gained huge success at that time and has ever since maintained its high level of quality up till now. There are four main models of Parker vector fountain pen available in the market with hundreds of different designs and attractive colors. Whether you are looking for a fabulous gift or preparing for the first day in college, the Parker vector fountain pen is available to make your life special with plastic and steel models. Features of parker vector fountain pen. The pen is reviewed at over a 4/5 on Amazon, so you won’t go far wrong. Let’s take a more in depth look at some of its features. Before purchasing anything, every person will take a moment to look at the features of that object. Some of the features of Parker vector fountain pen are mentioned below that will help you decide whether the Parker vector fountain pen is right for you or not! Parker vector fountain pens are available in plastic and steel materials with fabulous designs and attractive colors. Parker vector fountain pens are available with sleek and stylish bodies with cap on and off opening procedure, which provides it an elegant yet simple look. Each Parker vector fountain pen is available with a complete two years warranty. The Parker vector fountain pen will be replaced or repaired by the company, free of any cost, if any manufacturing defect is found. Special effort is made on the nibs of the Parker vector fountain pen during the manufacturing procedure. The nibs are made from finest quality stainless steel, which makes the writing experience more easy and comfortable. Parker vector fountain pens have dual feature of ink refilling. They can be used with ink cartridges or can be converted to ink bottle refill very easily. Some of the mixed reviews of different people about Parker vector fountain pen are mentioned below. Through these reviews we can easily determine the strengths and weaknesses of Parker vector fountain pen. I would definitely recommend this pen to anyone who wishes to enjoy his writing experience to its fullest extent. The Waterman Carène is a pen that cannot be fully appreciated until one gets his hands on it. It is a slim and graceful piece of writing instrument that offers an easy grip and a smooth flow of words. Available in several colors and designs, the Waterman Carène fountain pen is a premium product manufactured by one of the first generation fountain pen companies that boast more than a century of experience in this field. Prestige in every way, shape and form. 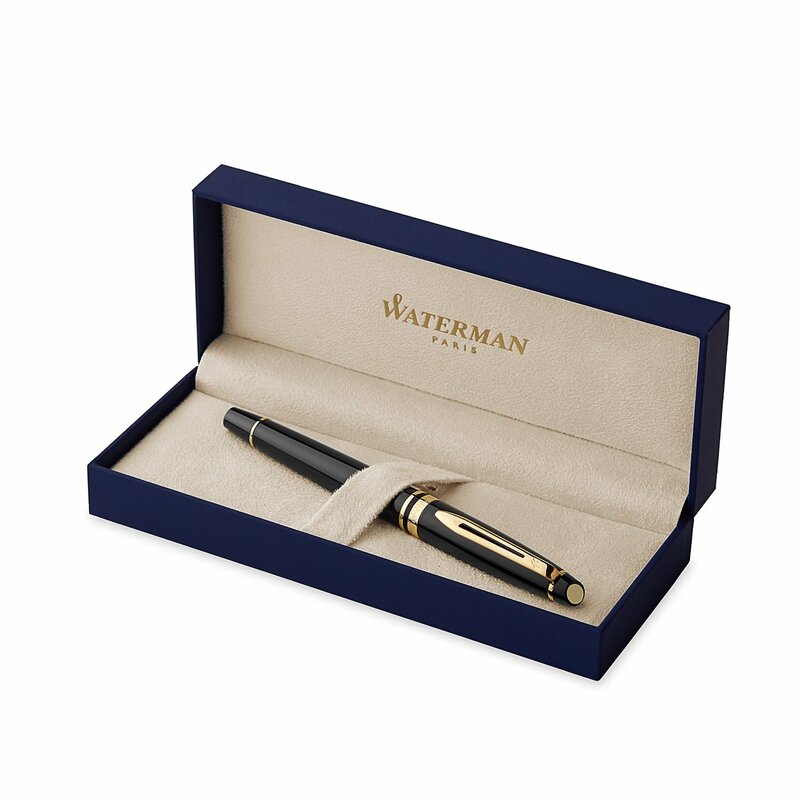 Waterman has taken great care to create a product that is excellent in every aspect. There are no gaps or clearances between different parts of the pen which translate into a firm hold. The user is spared the annoyance of having to do with unsightly disparities in the making of the pen. Another plus point of the Carène is its cap closure system that enables the top to slide smoothly into the body with a soft tick. The capped pen gives the impression of an elegant piece of solid rock. I am an avid Waterman user. Having previously used the Hemisphere and the Phileas, I sought another high-quality pen manufactured by the same esteemed company. The Waterman Carène fountain pen proved to be just the thing I was looking for. I selected a Blue edition of the pen having a vermeil top. The trim is golden. There is a black button at the top of the cap which is made of gold-plated metal. The cap is further adorned by silver bands hammered into the plated metal. There is a clip for pocketing purpose which also shows the typical Waterman logo. At first glance, the pen looks like a reminiscent of the glorious past. Since the Waterman Carène is principally made of metal, it is weightier than other pens of the same size. However, at the time of writing, the pen does not offer any extra resistance. The pen, along with a complete ink load poses around 35 grams of weight. With the cap on, it is 5 ¾ in length. The cap can be tightly secured with a push, and snapped off with the modicum of strength. The nib is firmly set and offers a smooth writing tip. The 18K gold nib is firmly set into the writing point and lays a mark which is around half a millimeter wide. This width is notably narrower than the mark produced by the majority of fine nib fountain pens. Some of us may find the nib to tightly set for comfort, however, once you get used to it you will find out that it is best suited for taking notes or writing things down at length. The mark put down by the nib is wet enough but does not smear the note. The Waterman Carène can be refilled with the help of a cartridge or a convertor. Filling can be easily carried out with the help of a hole at the back of the nib. Sink the hole in the ink and use the piston for filling. The Waterman Carène fountain pen provides a great writing experience while simultaneously satisfying one’s aesthetic sense. I will recommend it to anyone who is serious about writing. Many Fountain pens have recently become more of a statement of status than a tool for writing. A reminiscent article of the past, fountain pens giving an air of old-world sophistication and splendor. The Lamy 2000 Fountain Pen is one of these writing tools that give you a blast from the past feeling. Even though it isn’t a 1945’s hand-made pen, the Lamy 2000 is still as special. Taking it from the top, the Lamy 2000 is very appealing even at first sight. The first impression of this unique tool can only be described by the words, ‘powerful’, ‘unique’ and ‘professional’. The Lamy 2000 is not a modern-day tacky and flimsy little contraption. The pen is not covered with a series of flashy emblems and symbols. Instead that it consists of a simple yet sleek body curving smoothly without any sudden or rough dips in the design. The cap also continues this smooth curve without even as much as a hitch in the design. The matte black Makrolon material that is used to make this beautiful tool is scratch-proof to some extent and doesn’t get smudged with fingerprints, giving it a fresh and clean look always. This Makrolon body is complemented with stainless steel accents giving the pen a calm and quiet look on the whole. The ears of the pen’s cap are a very satisfactory part of the pen and can be pressed from the top to disappear into the cap providing a sufficient space for any material to be inserted underneath meaning that the clip can be retracted to clip it on to your clothing or any file as well. The pen can be carried prominently yet quietly in your coat’s front pocket, in your shirt or in a professional pen-case. The inking system for the Lamy 2000 consists of a piston filler with flawless construction. The perfection is complete to the point where you can’t even see the seam where the barrel connects to the upper body of the pen. It pulls ink smoothly and with ease even at the first use. The nib of the pen consists of a 14k gold plated hooded nib that is half-hidden inside the pen making it seem very attractive to people who like a certain minimalist feel to their pens. The pen gives mostly smooth strokes and is a pleasure to write with. The pen is skillfully made and very beautiful to carry. It is a practical yet statement pen give it a quietly professional appeal. The body is scratch-proof and smudge resistant to quite some extent. If you are successful in acquiring an acceptable piece, it can be a pleasure to write with. The piston filler and hooded nib give it a beautiful appearance both inside as well as outside. 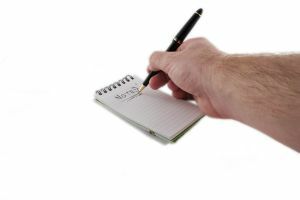 The body is tough and warms up to the hand’s heat make it comfortable to write with. The smooth design is neither too big nor too small and is a ‘just perfect’ fit for most hand sizes. It is true that most people have a specific and particular set of requirements when it comes to choosing the pen that best matches their personality. But this pen can prove to be an excellent companion for most! © 2019 Best Fountain Pens. Proudly powered by WordPress.